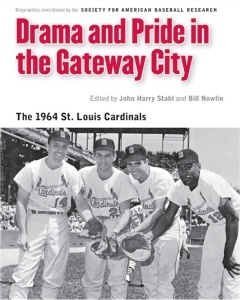 When Mike Lynch asked whether any of his website contributors were interested in reading and writing a review of Drama and Pride in the Gateway City, I jumped at the chance. First off, I love to read, and read a lot. Second, I love baseball. Lastly, I have never been asked to give my opinion on something I read. So, it feels like I am holding a winning trifecta ticket. This is a book about the 1964 St. Louis Cardinals. 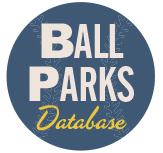 Not only is it about a special team that came out of nowhere to capture the National League pennant, but the team that revealed the old age of the storied New York Yankees, beating them in the World Series. Not only does it document the team’s ascension in this magical season, but introduces the characters in its stage presentation. I am sure that the causal baseball fan might find the book to be somewhat of a struggle and tedious to read, but to anyone who remembers this squad, or enjoys the scenery as much as the performance, will find their time reading it, well spent. The 1964 season was very special to me. I was seven years old, and it served as my baptism as a baseball fan. Growing up in New Jersey, I was well aware of the mystique and tradition of the New York Yankees. I can still remember running from my school bus with hopes of seeing each game on television. While New York had Mantle and Maris, I slowly became intoxicated with the likes of Boyer, Brock, and Gibson. The magic of this book does not rest solely on the shoulders of the preceding players but that of of the lesser known. 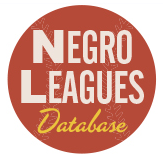 Sure, any educated baseball historian knows of Curt Flood’s struggles with baseball’s Reserve clause, or what is considered one the game’s worst trades, that of Ernie Broglio for Lou Brock. And many generations have enjoyed Tim McCarver and Bob Uecker’s broadcasts of the game. But it is the trials and tribulations of the smaller gems that make this book a treasure chest. 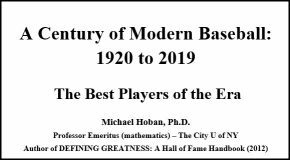 This book is special because of backup infielder, Jerry Buchek from southern St. Louis or hometown hero and Cardinal fixture, Mike Shannon. A player who suffered ‘glomerulonephritis,’a potential life threatening illness that prevented his kidneys from filtering wasted properly. Shannon has entertained fans for over forty years with his broadcasts of his favorite team. This book is not like buying a suit because you like the way it looks, but the fabric that makes it look good. 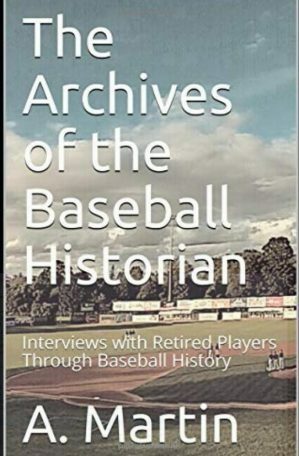 Since I am a member of SABR, my opinion is undoubtedly skewed, but I am happy to have a copy in my bookcase. Disclaimer: I was provided with a free copy of the book being reviewed by the publisher, but received no payment or other consideration for this review.